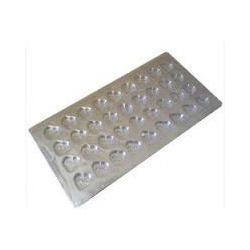 Leading Manufacturer of pvc blister tray from Vasai. Blister packing tray is another popular packing made for the retail hair-care accessories sector. Blister gives the card a more robust look, handling becomes easier, products are fully protected and therefore demand is relatively better. Blisters are available in various thickness starting from 15 micron to 50 microns.